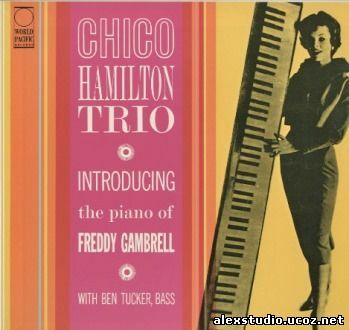 Chico Hamilton - Форум "Клуба коллекционеров"
Fantastic jazz drummer and percussionist, Chico Hamilton was born Foreststorn Hamilton in September 20th, 1921 in Los Angeles.He played in many great jazz bands, such as the Count Basie Orchestra, Charlie Barnet or Lionel Hampton (see the list below). He also played lots of sessions for the Paramount studios, as well as playing (and composing) many soundtracks. Chico Hamilton appears in the movies You?ll never get rich (1941) and Road to ball. Chico passed away on November 26th, 2013 in Manhattan, New York. He was 93. Александр, здравствуйте! Спасибо за этот диск, но чем его можно проиграть на ПК? ...чем его можно проиграть на ПК? Если с меню, то - CyberLink PowerDVD. Я пользую старенькую 7 версию. Полет нормальный. Если просто послушать *.aob, то с этим справляется- vlc. В этом случае меню не увидишь. ISO монтирую DAEMON Tools.